Satisfy your inner culture vulture at Citadel of Alba Iulia and Old Town. Your inner history buff will appreciate Lutheran Evangelical Cathedral & Tower and Turnul Sfatului (The Tower of the Council). Get out of town with these interesting Sibiu side-trips: Rapa Rosie (in Sebes), Alba Iulia (Catedrala Reintregirii Neamului (Coronation Cathedral), Obeliscul lui Horea, Closca si Crisan, & more) and Valea Viilor Fortified Church (in Valea Viilor). There's much more to do: make a trip to Big Square (Piata Mare), take in the architecture and atmosphere at Biserica Evanghelică Fortificată, examine the collection at Brukenthal National Museum, and explore the activities along Ocna Sibiului Salt Mine. To find ratings and tourist information, read Sibiu visit planner. Vancouver, Canada to Sibiu is an approximately 17.5-hour flight. You'll lose 10 hours traveling from Vancouver to Sibiu due to the time zone difference. In May in Sibiu, expect temperatures between 24°C during the day and 10°C at night. Finish up your sightseeing early on the 2nd (Tue) so you can travel to Dragus. Kick off your visit on the 3rd (Wed): take in the spiritual surroundings of Brancoveanu Monastery, then take your sightseeing to a higher altitude at Moldoveanu Peak, and then take your sightseeing to a higher altitude at Fagaras Mountains. On your second day here, explore the activities along Balea Glacier Lake, then step into the grandiose world of Fagaras Fortress, and then admire the sheer force of Capra Wasserfall. To find out how to plan a trip to Dragus, use our trip itinerary maker. Traveling by car from Sibiu to Dragus takes 1.5 hours. June in Dragus sees daily highs of 30°C and lows of 15°C at night. Wrap up your sightseeing on the 4th (Thu) early enough to travel to Sighisoara. Popular historic sites such as Sighisoara Historic Center and The Fortified Church of Biertan are in your itinerary. Satisfy your inner culture vulture at Art & Crafts and Church on the Hill. Get out of town with these interesting Sighisoara side-trips: Parc Aventura Sovata (in Sovata), The Donkey Farm (in Cund) and Salt Canyon (in Praid). And it doesn't end there: make a trip to Clock Tower, take in the architecture and atmosphere at Fortified Church, take in the exciting artwork at The Spoonman, and take in the pleasant sights at Scara Acoperita-Covered Stairway. To find maps, ratings, where to stay, and more tourist information, go to the Sighisoara trip planner . You can drive from Dragus to Sighisoara in 1.5 hours. In June, plan for daily highs up to 30°C, and evening lows to 15°C. Finish up your sightseeing early on the 7th (Sun) so you can travel to Izvoare. 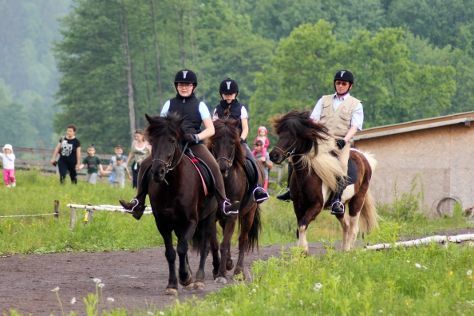 Escape the urban bustle at Icelandic Horses Riding Ranch and Lacu Rosu (Red Lake). You'll find plenty of places to visit near Izvoare: Pestera de Gheata si Grota ursilor (in Borsec), Red Lake (in Lacu Rosu) and Balu Adventure Park (in Harghita Bai). For ratings, traveler tips, and tourist information, you can read our Izvoare vacation builder . Getting from Sighisoara to Izvoare by car takes about 1.5 hours. Expect a daytime high around 30°C in June, and nighttime lows around 15°C. Wrap up your sightseeing on the 10th (Wed) early enough to travel to Baile Tusnad. Băile Tușnad is a town in Harghita County, Romania. 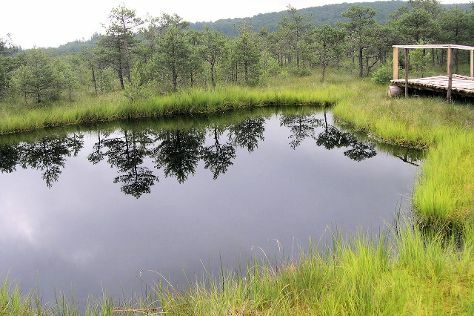 Visiting Mohos Peat-Bog and Emerald Lake will get you outdoors. Venture out of the city with trips to Racos Volcano (in Racos), The Museum of Transylvanian Life (in Miclosoara) and Ferma de Bizoni (in Aita Mare). The adventure continues: contemplate the waterfront views at Saint Anna Lake and explore the striking landscape at Buffogo Swamp. To see reviews, where to stay, photos, and more tourist information, you can read our Baile Tusnad planning website . You can drive from Izvoare to Baile Tusnad in 2 hours. Cap off your sightseeing on the 13th (Sat) early enough to travel to Brasov. Satisfy your inner culture vulture at Brasov Historical Center and Peasant Fortified Church at Prejmer. Get some historical perspective at Bran Castle (Dracula's Castle) and Black Church (Biserica Neagra). Get out of town with these interesting Brasov side-trips: Dino Parc (in Rasnov) and La Prapastii Zarnesti (in Zarnesti). And it doesn't end there: take in the awesome beauty at Mount Tampa, take in breathtaking views at Canionul Șapte Scări, fly like a bird with a parasailing or paragliding tour, and explore the landscape on two wheels at Season Hill. To see maps, traveler tips, more things to do, and more tourist information, read our Brasov visit planner . Drive from Baile Tusnad to Brasov in 1.5 hours. Wrap up your sightseeing by early afternoon on the 24th (Wed) to allow time for travel back home.